To begin making our own Arduino board, we r going to build a simple breadboard setup. 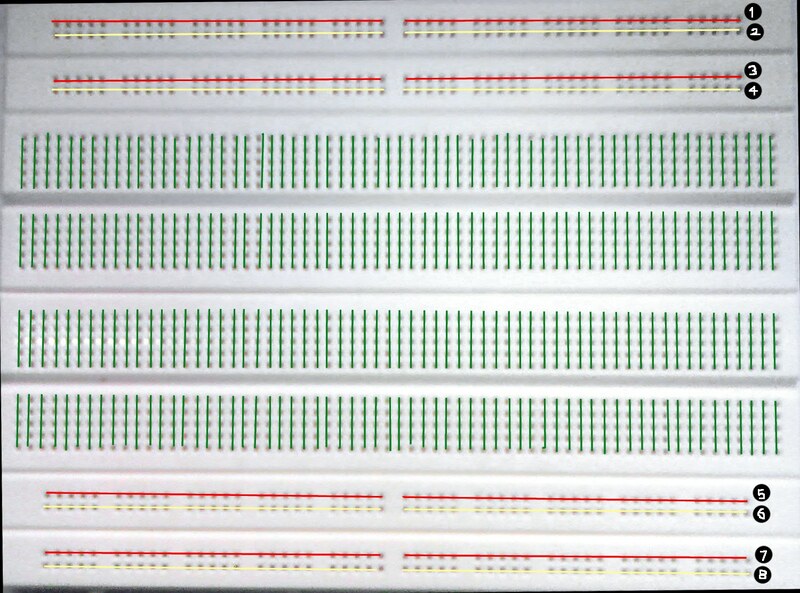 It consists of two breadboards arranged as shown in the figure. Note the arrangement of two boards differs from ordinary setup. The board is divided into two parts viz. upper & lower. 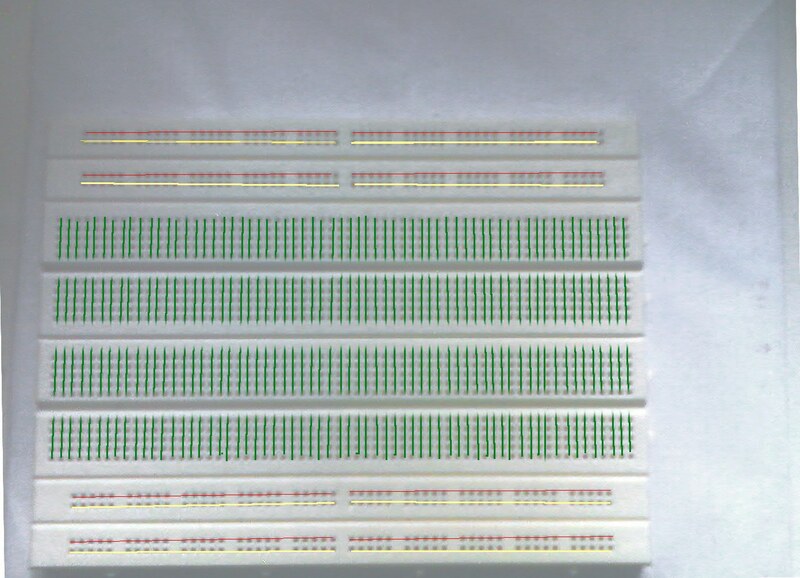 They are just common breadboards available in shops. Nothing special. The upper part will be used to build Arduino and the lower part will be used to build the sub circuits like signal conditioning circuits.It is always preferable to allocate space in the breadboard for different section of the circuit. The Arduino circuit consists of a microcontroller and a USB-Serial converter IC ( FT232RL - to facilitate the microcontroller programming through USB port of your computer ). You can use the ready made breakout board on the market for programing through USB port. Since we are going from scratch we'll be building our own USB-Serial Interface using that chip and I'll try to introduce the USB firmware( that can emulate the USB-Serial Interface without the FT232RL IC). How to use a breadboard effectively ? *Allocate space for different sections of the circuit separately. *Reduce wiring complexity and use the wire of required length. *Use a conventions of wire colors. *Connect the lines of numbers 4 & 5 externally and use it as GND.